Kids Forte (Ecommerce platform) values your privacy and is committed to the protection of your Personal Data. This Personal Data Protection Notice ("Notice") describes how Kids Forte (Ecommerce platform) collections, handles and uses your Personal Data in accordance with the Personal Data Protection Act 2010 of Malaysia. "Personal Data" means information about you such as your name, address, telephone number, NRIC, email address, your personal preferences, bank account information or any other information that might identify you. By registering an account with Kids Forte or by using the Kids Forte website http://www.kidsforte.com.my ("Website"), you consent to the processing of your Personal Data by Kids Forte Ecommerce and all our suppliers, advertising and promotional partners, and other service providers. Personal Data provided by you. From the point of registration of your account with Kids Forte, we will collect and process your personal data. This includes particulars you disclose in our application form or in our Kids Forte ecommerce platform. Personal Data collected by us. In addition to Personal Data you provide to Kids Forte Ecommerce directly, personal data may be collected from time to time from a variety of sources, including without limitation, from the cookies used by our Website. To provide information to regulatory and governmental authorities or other persons in compliance with its obligations under law. All brand names are registered trademarks of their respective owners. 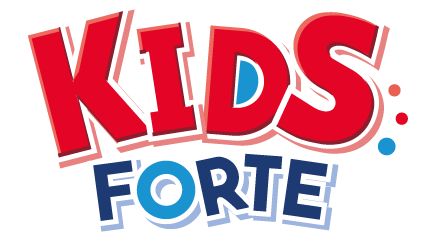 Kids Forte does not claim any legal interest in trademarks, logos, or other intellectual property, than that of its own. Photos that are part of Kids Forte photo collection are allowed to be posted on Kids Forte website only. Any use of these photos on any other websites requires consent from Kids Forte management. Save as set out below, Kids Forte Ecommerce does not sell or rent, and does not otherwise share your Personal Data with any third party. Kids Forte website do applies appropriate security application in order to prevent the leaking customers&apos; personal identification details from third parties, illegal disclosure and hackers. However bear in mind that any information transmitted through Internet is NOT 100% guaranteed safe and secure.